September 2017 | Matcor, Inc.
As the world’s leading manufacturer of linear anodes, and the only manufacturer of a linear anode specifically designed for use with horizontal directional drilling installations, we thought it would be appropriate to discuss various anode options for HDD installation. Can any linear anode be used in conjunction with horizontal directional drilling? 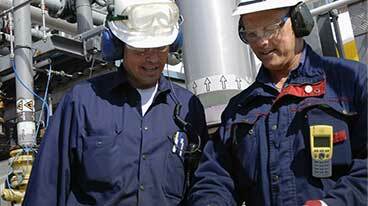 An engineer’s favorite answer to any question is “It depends” and this is certainly the case with HDD installations. The important thing to note is that when attempting to pull a linear anode through a bore hole, there is a chance that the pulling forces on the anode will exceed the strength of the anode and cause the anode to break. Even if the anode does not break completely, stretching of the anode can weaken or damage the internal header cable or anode to cable connections. 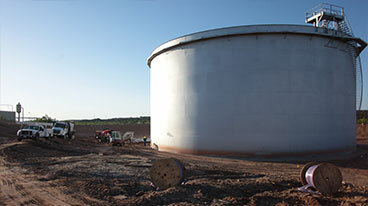 There are a lot of variables that can impact the success of any linear anode HDD installation. The short answer is yes, with the right bore hole, any linear anode can be pulled successfully. Conversely, with the wrong bore hole, any linear anode can be pulled apart during installation. What are the key factors to consider when planning an HDD linear anode installation? The key factors include a site geotechnical investigation, terrain and route mapping, and bore planning. Local drillers with experience in the identified area can often provide valuable insight based on similar projects in the same area. Collecting accurate topographical information of the bore route is another critical component in the planning phase. Terrain and HDD mapping includes determining HDD bore hole entrance and exit locations, identifying and mapping elevation profile changes, ensuring that other utilities are appropriately identified and avoided, assessing the need for traffic control, evaluating any environmental considerations or limitations that might impact the use of drilling muds and hole conditioners. Several commercial bore planning software tools are available to assist in the planning phase. These programs utilize the soil and geotechnical data combined with the terrain and route mapping information to provide a graphic visualization of the job helping the driller more accurately “see” and perform the job from start to finish. These software tools help the contractor select the appropriate drill rig, drill bit type and back reamer based on the anticipated soil conditions and the total bore length. By choosing the drill stem and length, the desired bore path depth, desired minimum cover, diameter and bend radius of the product being pulled, the software plots a proposed bore pitch, calculates setback distances, figures point to point bore paths, estimates hole volumes and calculates pullback time. The software can also provide a fluid–mixing process map that shows how much mud should be used based on soil conditions, drill unit and tooling used. If a bore planning software package is not used, field calculations should be performed to appropriately choose the correct drill rig, drill bit and back reamer tooling requirements, desired bore path and quantity and type of drilling fluids to be utilized. What anode should be selected for HDD installation? 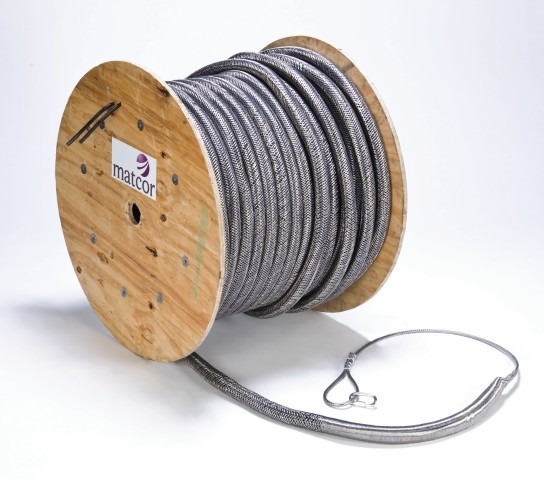 MATCOR’s SPL-FBR™ Linear Anode may be suitable for some HDD installations. MATCOR manufactures two linear anode products (SPL-FBR™ Linear Anode and the Iron Gopher™) that are both, in the right circumstances, suitable for use in HDD installations. The installation contractor, along with the client, must carefully select the appropriate anode and the appropriate anode installation methodology. The two generally accepted methodologies are direct pulling of the anode through the properly conditioned borehole by attaching the anode to the backreamer after the initial pilot hole has been drilled. The second installation methodology involves pulling an HDPE pipe sleeve into the borehole, installing the anode inside the pipe, and then removing the HDPE sleeve. The tables that follow are intended to assist the installer in selecting the appropriate anode and installation methodology. The selection of the appropriate anode type and installation methodology is subjective based on a qualitative analysis. 1Classifying the linear anode application difficulty using Table 1 is a qualitative analysis and may warrant taking into consideration other risk factors that may be appropriate. In general, the more difficult the application, the more costly the installation component, the greater the case to use the higher pulling strength Iron Gopher and the greater the incentive to use temporary HDPE sleeving to assure the lowest risk installation. 2Soil Types based on the US Department of Agriculture Soil textural classification guidelines. Earth Loams would include the broad range of Sandy Clay Loam, Loam, Silt Loam, and Clay Loam. What contingency planning is warranted for an HDD installation? 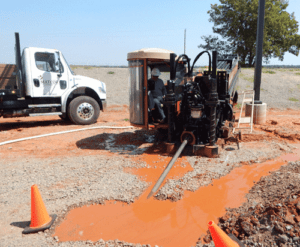 Even with proper project planning and an experienced installation contractor, some consideration should be given to contingency plans if something unforeseen happens during the HDD boring and anode installation. Are alternate bits available if needed to complete the pilot hole? Is a larger boring machine available if needed? If drilling is more challenging than anticipated, do we have ready access to HDPE pipe for sleeving if warranted? Does the project warrant having one or more spare anode assemblies in the event of an anode breakage during installation? While these risks can be greatly minimized with proper planning, asking these questions before mobilizing to the site can help solve problems more quickly, saving time and money. For assistance with linear anode selection for HDD applications, MATCOR’s linear anode systems, project management or installation, please CONTACT US.